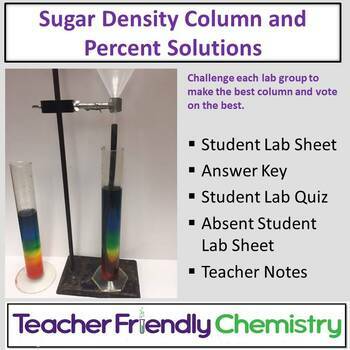 Make it a complete lesson day by introducing (m/v), (v/v), (m/m) percent solution calculations then send to the lab to make the best column. 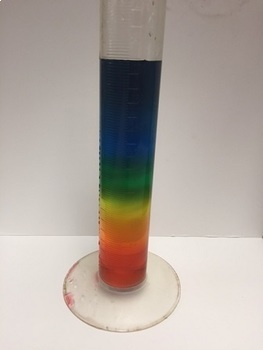 Students love the challenge and the lab requires them to calculate the percent sugar solution for each color. Students enjoy taking a picture of the column they made. Be sure to place a white poster board behind the column.